HomeFinanceEconomicsEmma Williams – The gender pay gap: myth-busting! The gender pay gap can only exist because men enforce it. It is the duty of government to intervene and end this unfair practice. We live in the 21st century and there is no excuse for this to still exist. This week saw the deadline for UK employers with 250 or more employees to publish their gender pay gap data. Over 10,000 businesses reported payroll figures comparing the average pay of men and women within their organisation. At first glance, it isn’t pretty. A whopping 78% of the companies that reported have been revealed to be paying men more than women, on average. Only 8% claimed that they have no gender pay gap at all. Of course, a gender pay gap is not a definite sign of pay discrimination, but it’s certainly a red flag. The shocking disparity of pay between men and women in the same organisation speaks to a number of concerns we’ve been addressing in our work at the WBG since our inception. Issues around the unequal distribution of care work, the gendered division of labour within the workforce and ultimately, the type of work that we value and reward within society, have all been brought to the fore. Although the legislation doesn’t actually force employers to do anything about their pay gap, the increased transparency that reporting brings has fuelled a welcome debate about how we’re supporting different groups in society towards fulfilling, fair and rewarding opportunities and work for all. By making such data public, businesses will have an opportunity to benchmark their pay structures against others and to analyse them in detail, perhaps for the first time. Let’s hope that companies take this opportunity to look at how they can address the structural inequality that means that women earn on average £223,000 less than men over the course of a lifetime. Despite all the recent press coverage, the gender pay gap is something that continues to confuse and confound, with people either not sure exactly what the figures mean, or why they matter. With this in mind, we thought we’d do a little gender pay gap myth-busting! The gender pay gap is the difference in the average hourly wage of all men and women across a workforce. If women do more of the less well-paid jobs within an organisation than men, the gender pay gap is usually bigger. It is not the same as unequal pay which means paying men and women differently for performing the same (or similar) work. Unequal pay has been unlawful since 1970, although arguably instances of men and women being paid unequally still occur – take the recent BBC scandal, for example. Understanding what the gender pay gap is doesn’t necessarily mean understanding why it’s a problem. Some people will seek to explain away the pay gap as simply the natural consequence of rational decisions made by free and autonomous individuals, about the type and amount of work they want to do. Commonly heard rationales including: men are simply more ambitious; women leave the workforce to have babies; and women choose lower-paying professions, may appear to be justified on the surface, but a more nuanced examination tells a very different story. Inequality in earning between men and women is just one of the ways that women continue to experience discrimination within society because of their gender, and until we tackle the structural inequality that prevents women from progressing to the top roles we won’t see the pay gap reduce and we won’t achieve true gender equality. Men work longer hours than women, take less time off and don’t leave to have babies, so it makes sense that they would be paid more over the course of a lifetime, right? The problem here, is that women do work hard, just not in the same way as men. It is certainly true that women are more likely to be in low-paid, part-time positions, but this isn’t because they’re sitting around doing nothing the rest of the time. It is well documented that the majority of unpaid and domestic work – cooking, childcare, housework, caring for others – is carried out by women, limiting the amount of the time they can spend in paid-employment. Indeed, analysis carried out by the Office of National Statistics found that women do more than double the proportion of unpaid work than men per week, even when also in paid employment. And when you add the time women spend doing paid work and domestic work together, they actually spend up to one hour more per day ‘working’ than their male peers! Women also tend to pick up unpaid work-related duties, such as mentoring junior staff, volunteering for committees and even cleaning the work kitchen. Despite the altruistic nature of this labour, one study found that men were rated up to 14% more favourably than their female colleagues when they put in overtime of this description. Even though more people expected women to do this sort of work, it led to – conscious or unconscious – bias towards women in the workplace, and had an overall negative effect on their careers. The point here is to acknowledge that men don’t get paid more on average because they work harder, but simply because they are engaged in a different type of work – one that society sees fit to reward financially. But it is precisely because women are undertaking the lion’s share of unpaid and domestic work – essential to a prosperous economy – that means men have more time to dedicate to pursuing their careers. Instead of suggesting that we start to pay women for the work they do in the home, bringing it within the parameters of the economic sphere, one solution would be “to create quality flexible jobs that allow women and men to balance their career ambitions with domestic and caring responsibilities”, as proposed by Dr Charlotte Gascoigne, Director of Research and Consultancy at Timewise. Firstly, it is a common misconception that women of a certain age leave the workforce in order to have children. A study by the ICEDR found that men and women around age thirty generally leave organisations for the same reasons: low pay, lack of learning and development, and a shortage of meaningful work. However, if managers believe that women are more likely to leave than a male colleague in order to have children, then they are probably also going to be more inclined to pass over a woman for a promotion or additional responsibility in favour of someone who they perceive as being with the organisation for longer. This disconnect between perception and reality contributes to direct discrimination against women in the workplace, whether they have children or not! The ICEDR suggests that organisations concerned about women leaving would do better to “ ”. Secondly, the argument that women leave the workforce to have children is problematic because it positions having children as a choice that women make and men do not. To borrow a phrase, it takes two to tango, and while women may need additional time off around the actual birth, the process of having, caring for and raising a child arguably involves two parties. Viewing motherhood as a choice like this sees women as solely responsible for their disadvantaged position in the workplace, regardless of the social circumstances that produce and depend on such activity (society’s ongoing existence requires women to have children!) or the unfair application of the disadvantage (fathers do not face penalties for their choice to become parents, only mothers do). Of course, one of the reasons that the pay gap opens up so dramatically after a woman’s first child is born is because – as already discussed – the majority of responsibility for childcare falls to mothers, who end up putting their careers on hold. One way to address this motherhood penalty would be to further strengthen parental leave rights for fathers and second parents. As well as enabling fathers to play a more active role in childcare from an early stage, an effective policy on shared parental leave would give working families more choice and flexibility further down the line when it came to sharing out childcare responsibilities, as well as supporting mothers who want to return to work early. Patently, this is just untrue. Recent Government figures suggest that while women are more likely to go to university than men, they earn less than their male peers on average from the moment they graduate. So while the law of averages would suggest that – if based on education – a higher number of women with degrees in the workplace would potentially mean a gender pay gap in their favour, the opposite is in fact true. Worryingly, a study looking at the link between educational attainment and the gender pay gap, found that returns on education remained largely unchanged for young men but declined significantly for young women over the period 1984-2007. They cite significant evidence of a decline in the returns to a Bachelor’s degree for young women as well as evidence of increasing wage inequality over time among young men and women with the same level of education. 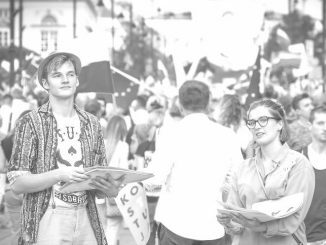 Their analysis suggests that young women with a university education may confront more discrimination in the labour market than young women without a university degree. And so far from men being paid more because they have attained a higher level of education, we see that women are actually paid less for holding the same set of qualifications. If a difference in education can’t account for the gap, then perhaps it comes down to experience? Again, the evidence here suggests otherwise; “As women progress in their careers, we also see the gap increase,” says Lydia Frank, editorial director at PayScale. “So when you’re looking at an individual worker versus executive, it gets bigger at each step of the career ladder”. In fact, PayScale data shows that the biggest pay gap is at the executive level – so the more experience a woman accrues, the greater the disparity in pay between her and her male colleagues at the same level. Put frankly, experience and education don’t seem to count for as much in the workplace as gender, and if you’re a woman with the same qualifications and work history as a man, there’s a good chance you’ll have to work twice as hard before you can expect to earn the same as them. This is nothing other than outright gender discrimination, and although it may be the result of implicit biases – difficult for people to recognise they even hold let alone admit to acting on – the transparency brought about by gender pay gap reporting will hopefully start forcing employers to confront these uncomfortable truths. This one is actually true to an extent – or at least it’s true that men do dominate the highest paying careers in virtually every sector – but it doesn’t tell the full story. Although different job types might explain part of the pay gap, this argument wilfully ignores cultural and other external factors that influence the occupations in which men and women work. For instance, the need for women to balance career ambitions with caring duties – as we have already discussed – may see them take up part-time work, which is typically lower-paid per hour than full-time work. Additionally, the type of careers women may purse will in a significant way be influenced by pre-existing notions of which jobs are for men, and which are for women – something established and reinforced at the family level, in the media and on TV. Fields dominated by women – such as nursing, social work, and teaching – typically pay far less than those which are predominantly male, like finance. This has less to do with the skills involved and more to do with gendered preconceptions of what kind of work is valuable (hint: it’s not the kind traditionally done by women). So, while men might ‘choose’ to pursue high-paying careers like becoming a surgeon, or an engineer, the real issue here is that we undervalue traditionally ‘feminine’ skills. This is a problem with society’s mindset at a cultural level and will take time and effort on several fronts to change. In the interim, we could push for all sectors – and jobs at all levels within those sectors – to open uppart-time and flexible working. This would prevent women from being unfairly penalised for having to ‘choose’ motherhood or caring responsibilities over a career, and it would also start to break down the notion that CEO’s and other high-level employees must be willing to work full-time – and often put in significant overtime as well – in order to occupy a management position. And with the Modern Families Index 2017 revealing that seven out of ten fathers would consider taking on childcare duties before a new job or promotion, increasing the availability of flexible/part-time working at all organisational levels would have the added benefit of allowing men to take on some of the unpaid labour currently done by women – something there is a clearly an appetite for. The first round of pay gap reporting certainly painted a depressing picture of workplace culture in today’s society, but on the upside, it also shone a much-needed light on the issue of pay inequality and highlighted several ways in which employers can start to redress the imbalance. As well as the recommendations already made in this piece, one of the most effective things we could do to tackle the gender pay gap would be to push for companies to have public pay scales, laying out exactly what skills and experience are required of different roles and what salaries and bonuses can be expected. This idea was discussed in length by WBG member Polly Trenow during an interview with Richard Madeley on Talk Radio in January. As she pointed out, public pay scales would make it particularly easy to draw out instances where conscious or unconscious bias and stereotyping was affecting pay decisions. 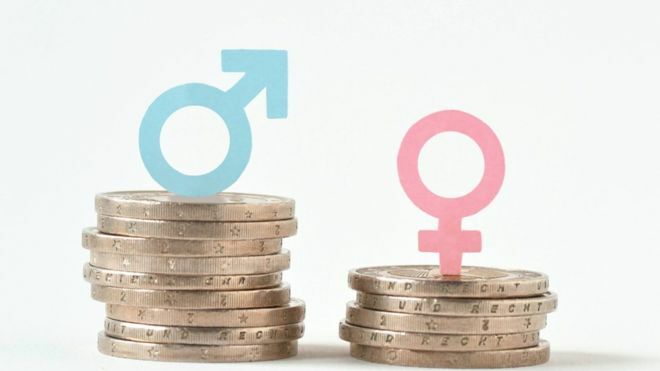 The deliberate obfuscation around pay scales and performance reviews – often perpetuated by employers themselves – is certainly one of the reasons the gender pay gap persists. Without access to such information women are unable to challenge questionable or even illegal practices, they cannot hold their employer to account or seek to negotiate better pay based on clear performance markers. Knowledge is power, as they say, and now we really know about the gender pay gap, we have to start to pushing for change. Owen Jones: If the BBC is politically neutral, how does it explain Andrew Neil?